David Weil is Dean and Professor of the Heller School for Social Policy and Management at Brandeis University in August 2017. Weil is an internationally recognized expert in employment and labor market policy; regulation; transparency policy and digital empowerment; and the impacts of supply-chain and industry restructuring on employment and work outcomes and business performance. His experience arises from both his decades of research on labor, employment, and the structure of labor markets and labor policy as well as leading a major federal agency, the Department of Labor's Wage and Hour Division during the Obama administration. He is currently extending his research on how changes in employment relationships and the structure of labor market affect income inequality and inform future workplace and labor policy. 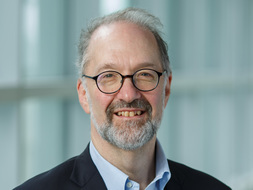 David Weil became the Dean and Professor of the Heller School for Social Policy and Management at Brandeis University in August 2017. Prior to that, he was the Peter and Deborah Wexler Professor of Management at Boston University’s Questrom School of Business. He was appointed by President Barack Obama to be the Administrator of the Wage and Hour Division of the U.S. Department of Labor and was the first Senate confirmed head of that agency in a decade. He led the Wage and Hour Division from 2014 to January 2017. His area of expertise is employment and labor market policy; regulation; transparency policy and digital empowerment; and the impacts of industry restructuring on employment and work outcomes and business performance. Dean Weil has written five books, most recently The Fissured Workplace (Harvard University Press) and published over 100 articles. He is widely sought in the US and abroad as an advisor on public policy questions. Weil, David. "Creating a Strategic Enforcement Approach to Address Wage Theft: One Academic’s Journey in Organizational Change.." Journal of Industrial Relations 60. 3 (2018): 437-460. Weil, David. "Gig economy is no excuse for lax protections for American Workers." (2018): <http://thehill.com/opinion/finance/383334-gig-economy-is-no-excuse-for-lax-protections-for-american-workers>. Weil, David. "Defend Obama's Overtime Policy." (2017): <https://www.usnews.com/opinion/economic-intelligence/articles/2017-10-25/will-labor-secretary-alex-acosta-dismantle-obamas-overtime-legacy>. Weil, David. "How to Make Employment Fair in an Age of Contracting and Temp Work." Harvard Business Review (2017). Weil, David. "Income Inequality, Wage Determination, and the Fissured Workplace." On Thomas Piketty’s Capital. Ed. Bradford DeLong, Heather Boushey, and Marshall Steinbaum. Cambridge, MA: Harvard University Press, 2017. 209-231. Weil, David. "Labor Day Should Really Be Called 'Inequality Day'." Huffington Post (2017): <https://www.huffingtonpost.com/entry/59a959fce4b0bef3378cd7af>. Weil, David. "Lots of Employees Get Misclassified as Contractors. Here's Why It Matters." Harvard Business Review (2017). Weil, David. "Millennial Employees Aren't The Problem. The Transformed Workplace Is.." Huffington Post (2017): <https://www.huffingtonpost.com/entry/millennial-employees-arent-the-problem_us_5a317838e4b091ca2684ed54?rt>. Weil, David with MinWoong Ji. "Does Ownership Structure Influence Regulatory Behavior? The Impact of Franchising on Labor Standards Compliance." 68. 5 (2015): 977-1006. Weil, David. "Learning from a Fissured World: Reflections on International Essays Regarding The Fissured Workplace." Comparative Labor Law and Policy Journal 37. 1 (2015): 209-222. Weil, David. "Fissured Employment: Implications for Achieving Decent Work." Creative Labor Regulation: Indeterminacy and Protection in an Uncertain World. Ed. Deirdre McCann, Sangheon Lee, Patrick Belser, Colin Fenwick, John Howe and Malte Luebker. Basingstoke/Geneva: Palgrave Macmillan/ILO, 2014. 108-133. Weil, David. "Mending the Fissured Workplace." What Works for Low Wage Workers. Ed. Stephanie Luce, Jennifer Luff, Joseph McCartin, and Ruth Milkman. NY: Russell Sage Foundation, 2014. 35-62. Weil, David. The Fissured Workplace: How Work Became So Bad for So Many and What Can be Done to Improve It. Cambridge: Harvard University Press, 2014. Weil, David, with Archon Fung and Mary Graham. "Targeting Transparency." Science 340. (2013): 1410-1411. Weil, David. "Broken Windows, Vulnerable Workers, and the Future of Worker Representation." The Forum: Journal of Applied Research in Contemporary Politics 10. 1 (2012): 160-183. Weil, David. "Evaluating the Efficacy of NLRA Remedies--Analysis and Comparison with Other Workplace Penalty Policies." Research Handbook on the Economics of Labor and Employment Law. Ed. Morris Kleiner. Cynthia Estlund and Michael Wachter. Cheltenham: Edward Elgar, 2012. 209-247. Weil, David, Frederick Abernathy, Kermit Baker, and Kent Colton. Bigger Isn’t Necessarily Better: Lessons from the Harvard Home Builder Study. Lexington Books, 2011. Weil, David. "Enforcing Labor Standards in Fissured Workplaces: The US Experience." The Economic and Labor Relations Review 22. 2 (2011): 33-54. Weil, David. A Study of Food Safety and Other Consequences of Publishing Establishment-Specific Data. Committee on Disclosure: 2011. Weil, David with Archon Fung. "Open Government and Open Society." Open Government. Ed. Daniel Lathrop and Laurel Ruma. Cambridge: O’Reilly, 2010. 105-113. Weil, David. Improving Workplace Conditions through Strategic Enforcement. Report to the Wage and Hour Division, U.S. Department of Labor: 2010. Weil, David. "Rethinking the Regulation of Vulnerable Work in the USA: A Sector-Based Approach." Journal of Industrial Relations 51. 3 (2009): 411-430. Weil, David. "A Strategic Approach to Labour Inspection." International Labour Review 147. 4 (2008): 349-375. Weil, David. "Mighty Monolith or Fractured Federation? Business Opposition and the Enactment of Workplace Legislation." The Gloves Off Economy: Problems and Possibilities at the Bottom of the Labor Market. Ed. Annette Bernhardt, Heather Boushey, Laura Dresser, and Chris Tilly. Champaign: Labor and Employment Relations Association, 2008. 287-314. Weil, David with Carlos Mallo. "Regulating Labor Standards via Supply Chains: Combining Public/Private Interventions to Improve Workplace Compliance." British Journal of Industrial Relations 45. 4 (2007): 805-828. Weil, David, Archon Fung and Mary Graham. Full Disclosure: The Perils and Promise of Transparency. New York: Cambridge University Press, 2007. Weil, David. "Crafting a Progressive Workplace Regulatory Policy: Why Enforcement Matters." Comparative Labor Law and Policy Journal 28. 2 (2007): 101-130. Weil, David with Amanda Pyles. "Why Complain? Complaints, Compliance and the Problem of Enforcement in the U.S. Workplace." Comparative Labor Law and Policy Journal 27. 1 (2006): 59-92. Weil, David with Archon Fung, Mary Graham, and Elena Fagotto. "Regulation by Transparency: The Effectiveness of Government Mandated Disclosure Policies." Journal of Policy Analysis and Management 25. 1 (2006): 155-181. Weil, David, Frederick H. Abernathy, John T. Dunlop, and Janice H. Hammond. A Stitch in Time: Lean Retailing and the Transformation of Manufacturing—Lessons from the Apparel and Textile Industries. New York: Oxford University Press, 1999. Weil, David. Turning the Tide: Strategic Planning for Labor Unions. New York: Lexington Books, 1994.